The story of an ill-fated attempt to escape trauma. The tale of a young woman, a loner called Sára, who lives in an old cottage in the Šumava hills and makes a living by gathering and selling mushrooms. For seven years she has been following the same route through the foothills, thus maintaining a delicate balance in the dilapidated rural building where she has set up home. The hermit Sára seems unmoved by the news of her mother’s death, but the inheritance proceedings bring the family who rejected her back into her life. Sára’s house is falling apart just as her life and business are. It is time to return to the past and deal with what remained unresolved in this uprooting. After her successful 2015 debut, Anežka, Viktorie Hanišová has produced another story of parental failure. Viktorie Hanišová (b. 1980), translator and novelist. She is from Prague and studied English and German studies at Charles University. She translates and works as a teacher of foreign languages. She made her debut as a writer in 2015 with the very well-received novel Anežka about the dysfunctional relationship between a mother and her adopted daughter, hidden racism and stereotypes. 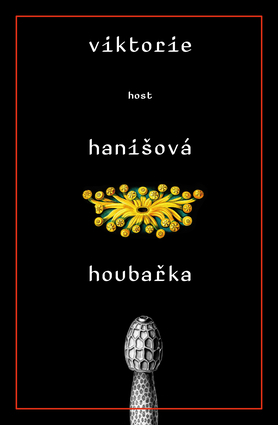 Her second novel is Houbařka (The Mushroom Gatherer, 2018) and her third novel will be published in spring 2019.